Here's how Chinese brain-reading headgear can reduce the Trump turnover. Here’s how to reduce turnover in the Trump administration. The 45th President of the United States should simply outfit each of his workers with the Chinese brain-reading hat. Pence would wear one, as would Conway, Pompeo, Mnuchin, Mattis, Sessions, Carson, Chao, Pruitt, Shulkin, Haley, DeVos - and Guillaini. Right now, especially Giuliani. All headgear would convey the standard MAGA look, white print on red background. The point is, caps, helmets or headsets would be wired with sensors that spot workplace rage anxiety, or depression, and alert the boss-at-the-top that it’s time to FIRE another person. The problem with Trump turnover. Way back, Trump triumphed that he only hires the best people. So he does, flipping them up and tossing them over for superiors. To date, 73 political appointees of Donald Trump have been fired or resigned. Nor, can the Boss trust those in office, since insiders report constant leaks, starting from the top. Reportedly, the Trump Administration is a gloomy place to work for. Workers distrust each other. There’s gossip, misogny, backstabbing. Seemingly, the only people who manage to keep their noggins are the perpetually scowling Sanders, KellyAnne and Stephanie Grisham, spokeswoman of the First Lady. Constant turnover harms any organization. It dents workplace morale, chips away at employee and customer trust, deteriorates service quality, affects profit, is expensive, and results in the loss of experienced employees, among other negatives. After a meta study of over 250 pieces of research, the website Salesforce.com concluded that “high turnover is really bad news.” For the White House, this unprecedented 43% turnover affects this administration on a couple of levels, from policy inconsistency to incoherent diplomatic relations and institutional inexperience, according to director of undergraduate studies and professor in the Texas A&M Department of Political Science Joe Ura. Over in China, the Chinese have outfitted more than 40,000 workers with hats, like caps, headsets, or safety helmets, that pick up electrical surges, telling the manager when a worker needs to rest, be transferred, or fired. The sensors concealed in the hats monitor the wearer’s brainwaves, after which the data is collected by computers which use algorithms to look for emotions like anger, sadness, or anxiety. It’s sort of like a fMRI, the device used by behavioral neuroscientists to analyze neural spikes in emotion. To date, more than a dozen state-owned businesses and various Government department in China don this headgear. They’re worn at the production line, in the military, and by workers at the helm of high-speed trains. Air Force pilots wear them, sensors concealed in the brim of their uniform caps. It’s not as Orwellian as it sounds. It doesn't pick up your thoughts and market them, as Facebook was accused of doing. Still, Cheng Jingzhou, the official who oversees the State Grid Zhejiang Electric Power, said "there is no doubt about its effect". He added that the company saw its profits increase by around two billion yuan (approximately $314 million) since it used this monitoring tech. Most important, the hat “maintains social stability”, according to the South China Morning Post. The downside is that electroencephalography (EEG), the device that neuroscientists use to measure brain activity through recording the brain’s neurons or electric activity through the scalp, can be confounding. EEG sensors pick up on any sort of electrical activity, not just of the brain, and can muddle signals. So blinking or clenching your jaw could lead to a false positive, as could movement and sweat. On top of that, the Chinese hats are dry, and dry sensors are more likely to pick up noise. Second, emotions like depression or anxiety are rather complex. Giuliani's cap may pick up that he’s anxious, but his anxiety may come from fumbling to please his boss, rather than from wondering how on earth he’ll manage to get through one more TV appearance at this White House. And, of course, there are the ethical problems that barely register in China but agonize Americans. Is this a repeat of the Facebook privacy intrusions? The White House gets away with a lot. Can it get away with this “brain hacking”, too? And if it starts there, where will it end? Still, in an Administration that believes that Obama wiretaps its microwaves, or that the Feds eavesdrop on phones, you never know who’s safe. Trump’s tired of the White House leaks. He’s blasted and pouted and fired. These leaks come from gruntled, grizzled workers. That, and his torrid turnover, may dry up if Trump yanked some wiretapped helmets on each and every one of his appointee's heads. After all, Trump loves the Chinese. They tailored his MAGA caps. How about some state-of-the art MAGA brain-reading headgear, too? Over in China, the Chinese have outfitted more than 40,000 workers with hats that pick up electrical surges, telling the manager when a worker needs to rest, be transferred, or fired. The sensors concealed in the hats monitor brainwaves, after which the data is collected by computers, which use algorithms to look for emotions like anger, sadness, or anxiety. It’s sort of like a fMRI, the device used by behavioral neuroscientists to analyze neural spikes in emotion. Employees at more than a dozen state-owned businesses and various Government departments in China wear this headgear. It's worn at the production line, in the military, and by workers at the helm of high-speed trains. It’s not as Orwellian as it sounds. It doesn't pick up your thoughts and market them as Facebook has been accused of. Cheng Jingzhou, the official who oversees the State Grid Zhejiang Electric Power, said "there is no doubt about its effect". Jingzhou added that his company saw its profits increase by around $2 billion yuan (approximately $314 million) since it used this monitoring tech. 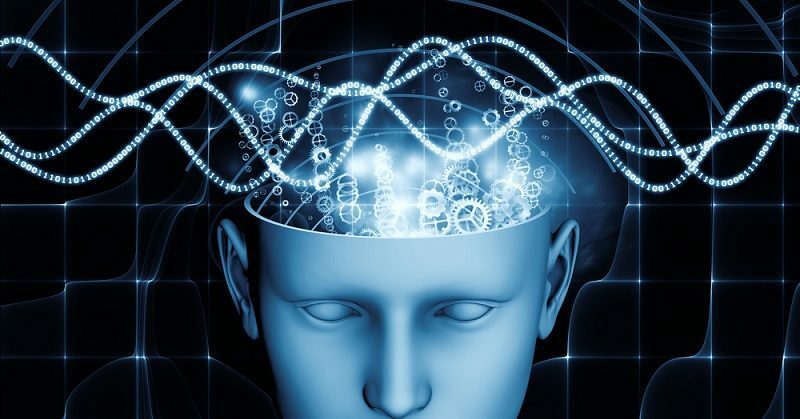 Can monitoring brainwaves really allow us to read emotions? Most importantly, the hat “increases the competitiveness of its industry and maintains social stability”, according to the South China Morning Post. Perfect for Trump. The downside is that electroencephalography (EEG), the device that neuroscientists use to measure brain activity through recording the brain’s neurons or electric activity through the scalp, can be confounding. First, EEG sensors pick up on any sort of electrical activity not just of brain and can muddle signals. So blinking or clenching your jaw could lead to a false positive, as well as, movement and sweat. On top of that, the Chinese hats are dry, and dry sensors are more likely to pick up noise. Second, emotions like depression or anxiety are rather complex. Giuliani's cap may pick up that he’s anxious, but his anxiety may come from fumbling to please his boss. Instead of wondering how on Earth he’ll manage to get through one more TV appearance at this White House. Finally, there are the ethical problems that barely register in China but agonize Americans. Is this a repeat of the Facebook privacy intrusions? The White House gets away with a lot. Can it escape with this “brain hacking” too? And if it starts there, where will it end? In a Government that believes Obama is wiretapping microwaves or that the Feds are eavesdropping on phones, you never know who’s safe. Trump is tired of White House leaks. He’s blasted, pouted, and fired. These leaks come from gruntled, grizzled workers.His worries and torrid turnover may dry up if Trump puts wiretapped helmets on each and every one of his appointee's heads. After all, Trump loves the Chinese. They tailored his MAGA caps. How about some state-of-the-art MAGA brain-reading headgear, too?